This work represents the third step in the group’s ongoing research into the relationship between the Shar-Pei dog breed’s unique skin appearance and a complex hereditary syndrome, SPAID. In 2011, the team first reported the existence of a duplicated segment of DNA upstream of the gene hyaluronan synthase 2 (HAS2) in Chinese Shar-Pei which was linked to the overproduction of hyaluronan. This molecule is required to form the breed’s characteristic thickened and wrinkled skin, however, overproduction can drive the activation of the dog’s immune system and result in a periodic fever. The group noted that the dogs with the highest number of duplicated copies carried the highest risk of suffering recurrent fever flares. The term SPAID was coined in 2013 when the same team published the results of their second genetic study showing that fever was only one of five clinical signs that were linked to the same region of the genome. The others were arthritis, otitis, vesicular hyaluronosis and amyloidosis. The breakthrough in translating their research into a test that could accurately determine the true copy number variation (CNV) of this duplication came through access to new technology, explains senior author of the study, Dr Jennifer Meadows. 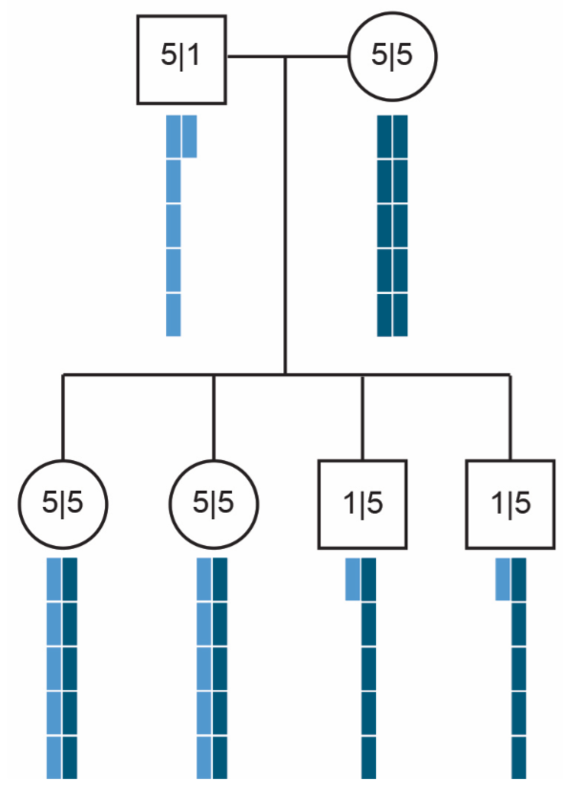 “The results were so elegant; with droplet digital PCR we were able to follow the inheritance of the CNV over multiple generations, showing how the duplication was passed from parents to their litter.” She adds, “This clarity meant we could finally calculate that if a dog has five copies of the CNV on one chromosome, it is four times more likely to suffer SPAID”. A graphic of the process mentioned by Dr Meadows is illustrated. The image shows a sire with a copy number of six (CNV = 6, light blue). This means that he has five copies on one chromosome, and one copy on the other. The dam has a copy number of ten (CNV = 10, dark blue). In this case, there are five copies of the CNV on each of her two chromosomes. In this example we can see that the litter consists of four puppies, two with CNV = 10 (5|5) and two with CNV = 6 (1|5). 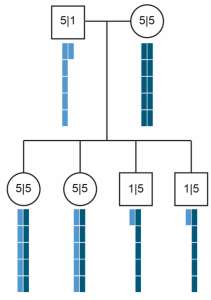 Using the light and dark blue coloured copies we can see which were inherited from the father (either the 5 or 1), and which were inherited from the mother (either the 5 or 5). Dr Linda Tintle, a veterinarian with more than twenty years striving to improve the breed’s welfare notes, “The wait for our first genetic test is over. We can now breed away from dogs with a CNV =10. These are the individuals most likely to suffer the debilitating signs of SPAID, including Shar-Pei Fever”. “This breed is incredibly special”, says Dr Meadows. “The more we learn about the interplay between hyaluronan and the inflammatory immune response, the more we can contribute to both human and Shar-Pei health”. The test will be offered in Europe through SLU, Sweden with an American centre to follow shortly.